It says something special about an artist when the legendary Levon Helm plays drums on your previous recordings and you’ve been asked to Helm’s famous Midnight Rambles in Woodstock, NY, 6 different times. Bow Thayer is that artist. The Vermont singer/songwriter new album ‘Eden’ will be released on March 5, and is co-produced/engineered by 3-time Grammy winner Justin Guip. 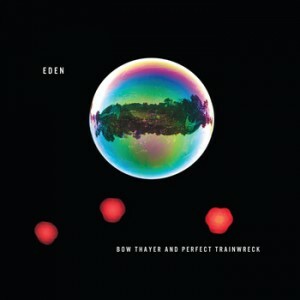 Eden, the album, was written almost entirely on electric banjo, and the title song certainly harkens back to the rootsy groove of The Band. The rest of the album further explores Americana and bluegrass, soul and rock territory. Eden is Thayers first album of new material since the release of 2010 ‘s Bottom of the Sky.